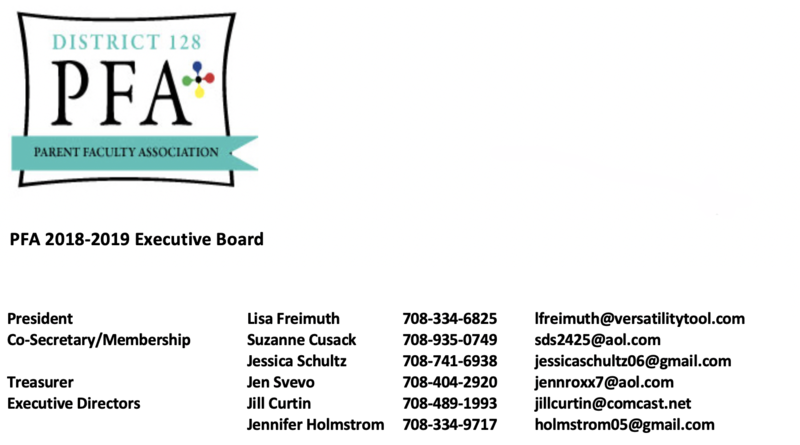 The District 128 Parent Faculty Association is an association of parents and faculty working together for all of the children in our district. Every child in our district directly benefits from the monies raised through our organization. And with events like Dancing with the District and Booingo, we hope that everyone has some fun along the way!